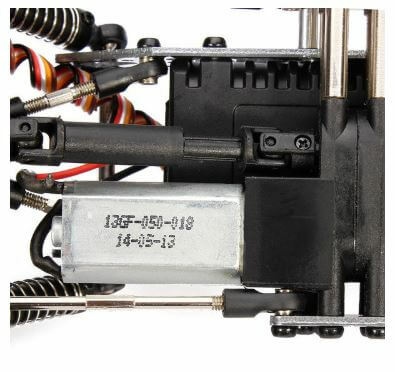 כ 223 ₪ בלבד ומשלוח חינם. 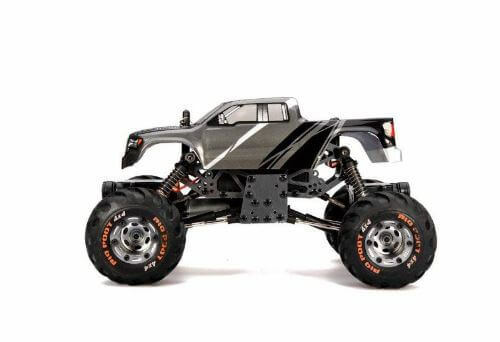 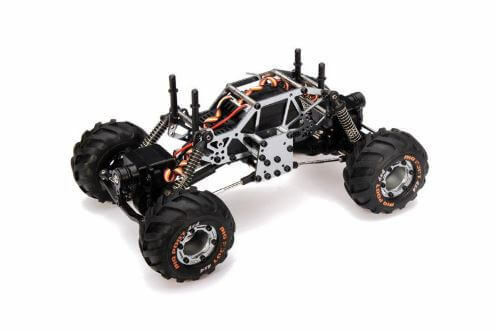 It’s HBX 2098B 2.4G 1/24 4wd mini rc climber or crawler,it has metal chassis and frame parts which make the car stronger,and it takes advantage of 5-cable SERVO to help the car perform better.In addition,it lowers the center of gravity by placing the motor horizontally,thus,making the car more stable while running. 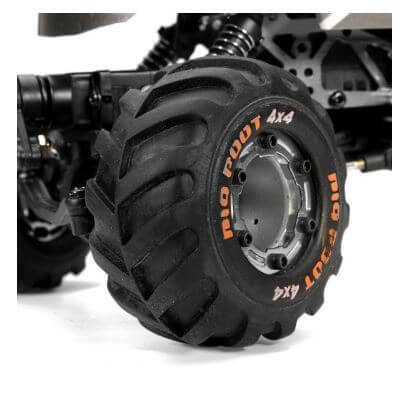 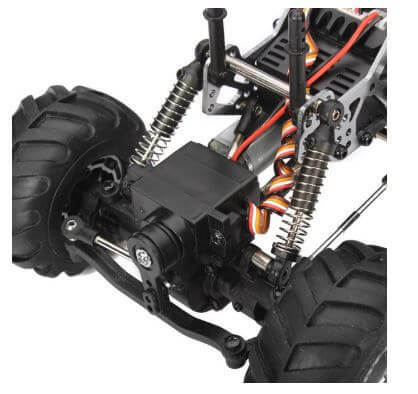 This crawler is very special,it has 2 steering servos,so it’s four wheel steering,much better than the old version,besides,it comes with a transmitter which has 4 modes,you can choose what mode you like to play with this fantastic mini crawler!